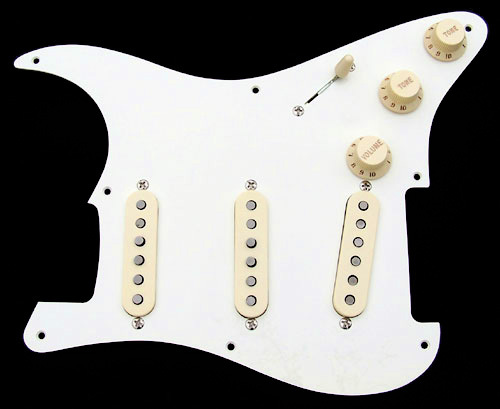 Includes everything ready to drop in to your favorite Strat® by simply hooking up the hot wire (audio) and ground wires. Includes genuine Fender® Custom Shop Fat '60s pickup set, genuine Fender® pickguard, knobs, switch tip along with top quality CTS potentiometers, Orange Drop polyester film tone capacitors and a CRL pickup selector switch. 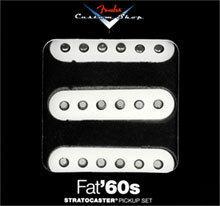 Pickup Set: Genuine Fender® Custom Shop Fat '60s. Fender Custom Shop Fat ‘60s Strat® pickups deliver sweet 1960s single-coil Stratocaster® sound with plenty of crisp articulation. 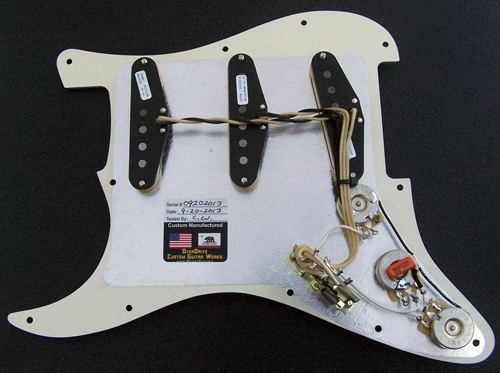 The overwound design gives these pickups added low-end punch for an extra shot of modern attitude. Custom Shop Fat ‘60s pickups are outfitted with beveled alnico 2 magnets, which offer warm lows, rich midrange and mellow highs, capturing the sound of aged pickups from the early ‘60s for luscious vintage-inspired tones. 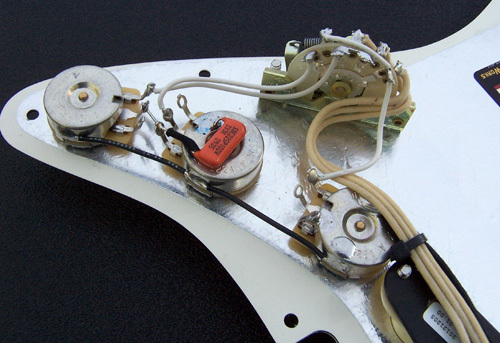 The middle pickup is also reverse-wound reverse-polarity (Rw/Rp) for superior hum cancelation.